It is a cliché of development discourse that it is better to teach people to fish than to give them fish to eat. While there is a core of truth in this statement, the issues have become much more complex than such simple ideas suggest. Today, as the international community is working to fashion a new sustainable development agenda to succeed the Millennium Development Goals (MDGs), there are at least 842 million children, women and men suffering from chronic hunger and many more who are poorly nourished. The world population has passed 7 billion. And climate change presents a serious challenge to growing enough food to feed this and future generations. Today’s world differs greatly from what the architects of the MDGs faced. There is consensus that we need not just a new set of goals, but a new way of reaching them that embraces a comprehensive approach to sustainable development, looking at the economic, social and environmental dimensions. In development parlance, a transformation has to happen. And that transformation has to happen in rural areas, as well as urban. For one thing, 76 percent of the world’s poorest people live in rural areas. Most of them depend on agriculture for their livelihoods. If development doesn’t reach them, then development fails. But these rural women and men are also a powerful force: small family farms provide up to 80 percent of the food produced in sub-Saharan Africa and parts of Asia. They are also stewards of natural resources and biodiversity on which the future depends. And they have the potential to grow more food, feed more people, reduce poverty, create jobs and protect our natural resources – but only if we apply a transformative approach to development. Investing in rural people is essential to that approach. The idea of transformation is not new. Almost 40 years ago, the Universal Declaration on the Eradication of Hunger and Malnutrition stated that “effective measures of socio-economic transformation” would be needed in order “to remove the obstacles to food production and to provide proper incentives to agricultural producers”. That declaration was adopted in 1974 by the World Food Conference – the same conference that provided the initial impetus for the creation of the organisation I head, the International Fund for Agricultural Development (IFAD). IFAD’s experience shows that investing in rural people and in agriculture can ensure a real return on investment in terms of food security and poverty reduction. We know that market-oriented, profitable and environmentally sustainable smallholder agriculture can spur economic growth in developing countries and lift millions out of poverty. In the world’s 49 least developed countries, agriculture is the backbone of the economy, accounting for 30 to 60 percent of gross domestic product and employing as much as 70 percent or more of the workforce. And smallholders in developing countries play a key role in protecting our environment, providing a wide range of environmental services that contribute to carbon sequestration and limit carbon emissions. Neither global food security nor poverty eradication can be achieved without rural development. The world is becoming increasingly urban, yet cities are still fed by the people working the land in rural areas. And rural areas are changing, as higher returns from agriculture attract more investment and create new opportunities. 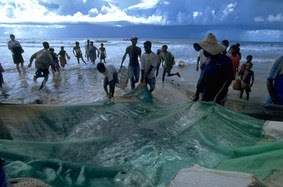 If poor farmers and fishers are excluded, they will follow a well-trodden path to over-crowded urban areas and abroad. More and more, the development community is realising that we cannot move forward if we continue to think of agriculture and rural areas as backward, or marginal. This change in our mindset needs to be embraced by developed and developing countries alike. To transform rural spaces and lives will require imaginative projects, partnerships and technologies. Yet we must be realistic. The future we want isn’t free, and it isn’t enough just to want it. It will have to be paid for – not just with greater investment in agriculture and rural development to ensure nutritious food for all, and not just by tearing down the barriers to accessing food, inputs or finances. It will cost us time, and a higher level of care and attention. Transformation means not just changing the outcome, but changing the context. It must be both ameliorative and preventive at the same time – changing the present, and opening the door to a better and more secure future. It means helping people fish today in a way that will also ensure there are fish to catch tomorrow and long into the future. IFAD invites you to join Adolfo Brizzi, Director of IFAD’s Policy and Technical Advisory Division, and Gerda Verburg, Chair of the Committee on World Food Security, for a discussion on “Achieving a sustainable future for all: Rural transformation and the post-2015 agenda”.